Lynne Matson grew up in Georgia in a house full of books and a backyard full of gnarly pines. Back then, Lynne would stay up late, reading Nancy Drew books under the covers (with a flashlight . . . a weak attempt at ninja stealth). Now she still stays up late reading books and writing them. When she doesn’t have a book in her hand, you’ll find her listening to music, messing around with paint, or hanging out with her husband and their four boys . . . or all of the above. Read widely, write daily, be positive and persistent. :) Seriously, reading across all genres really helps develop a feel for rhythm and cadence in prose, not to mention an inherent sense of good pacing. And writing? Oh gosh, sometimes it’s HARD, but the more you write, the better writer you become. And through it all, be positive believe in yourself and your writing, and if you stay positive, it will give you the strength to keep going when the publishing road gets bumpy. You can do it!!! Where did you get the idea for Nil? I adore this question, because the entire idea of NIL came to me in one clear moment I can pinpoint to this day. NIL was born in Hawaii, on the big island. It was our first real getaway from our four boys, EVER. As we left the airport after landing on our first day, we drove through miles of ancient lava fields. Broken red rock stretched endlessly on each side, gorgeous and desolate. No roads, no buildings, no people–just the eerie sound of wind blowing over the barren rocks. I remember thinking how much it all looked like an alien planet, and thinking how creepy it would be to wake up there, alone. And I remember thinking how scary it would be as a teenager, to wake up by yourself, not having a clue where you were or how you how got there, and what if–because isn’t this every person’s worst nightmare? !–you woke up naked? NIL was born in that moment. That barren-red-rock visual locked in my head, and that's what Charley sees when she first wakes up in Nil. Did you hit any snags while writing Nil? What were they and how did you fix them? Which one of the characters in Nil is your favorite and why? Sure! 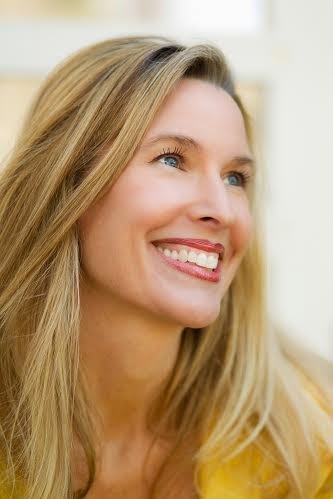 I actually wrote an entire post on this subject which can be found here: http://lynnematson.blogspot.com/2012/07/power-of-three-or-how-i-found-my-agent.html. But the short version is that I never stopped writing, never stopped working on my craft, and never stopped believing. And never stopped dreaming. If you don’t believe in your work, who will? Do you ever wish you had a daughter? If you were stranded on an island, what one thing would you need more than anything else to survive? Something to catch fresh water. Lack of fresh water would be a death sentence for sure. If you had to battle for the last Thin Mint in existence, what weapon would you choose for your opponent and why? 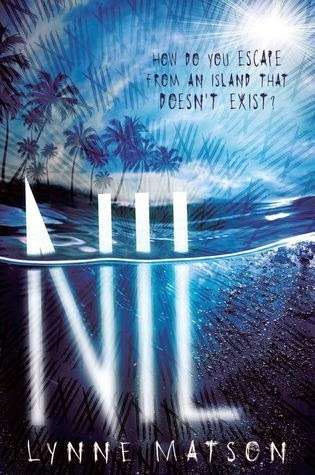 Nil: On the mysterious island of Nil, the rules are set. You have one year. Exactly 365 days--to escape, or you die.